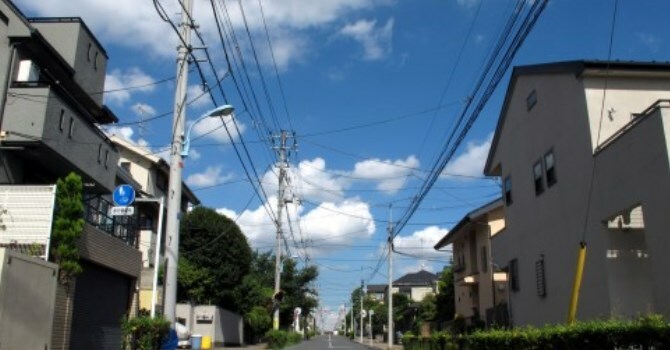 In Japan, there used to be apartments built exclusively for government employees. They tended to be well built structures in attractive locations, with disproportionately low rents, making them a benefit in kind with huge advantages. Apartments for government employees were probably established due to the nature of the bureaucrats’ job, which frequently required the person to move to any part of Japan, as well as housing conditions in the past. But they seem to have had a stronger aspect as a symbol of the bureaucrat’s privileged status. Company housing apparently had a similar background, together with the aspect of the company offering special treatment to its employees. But since the number of people to which a company can provide housing is limited, the need to adjust for the unfair allocation gave rise for housing allowances, as well as companies systematically leasing apartment complexes for their employees. It should not be overlooked that benefits in kind, like company housing, have a tax advantage. Housing allowances are a part of taxed income, but the difference in the lower rates of company housing compared to market rates is not subject to tax. Companies must also have had the intention to correct unfairness resulting from employees’ relocation. The system might have been a representation of the company’s will to treat employees fairly. For example, if an employee was assigned to a job in Hokkaido, companies often used to provide a “cold climate allowance”. Heating was initially provided by wood, which then shifted to coal, so the allowance was also called “coal allowance”. The cost for coal was an additional expense resulting from the relocation to a cold area, so at that time, it made sense to companies to compensate. In the past when cooling appliances were not available, heating expenses for cold areas stood out as additional cost. But things have changed. Cold areas have the advantage of needing less cost for cooling, and after all, the cost for living in a rural area is relatively low. In organizations with nation-wide operations and headquarters in Tokyo, as with government agencies, compensations are set based on Tokyo standards, so employees outside of Tokyo have a large benefit from the difference in living costs. Since companies can no longer deliberate on the indeterminable question of whether that is fair or unfair, they decided to abolish all kinds of allowances.